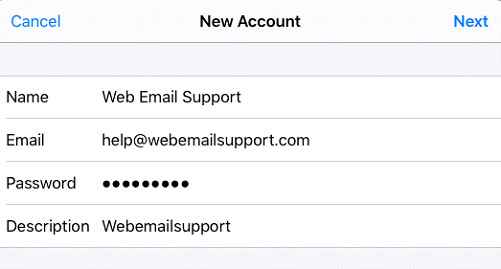 How Do I Set Up Email on My iPhone or iPad? 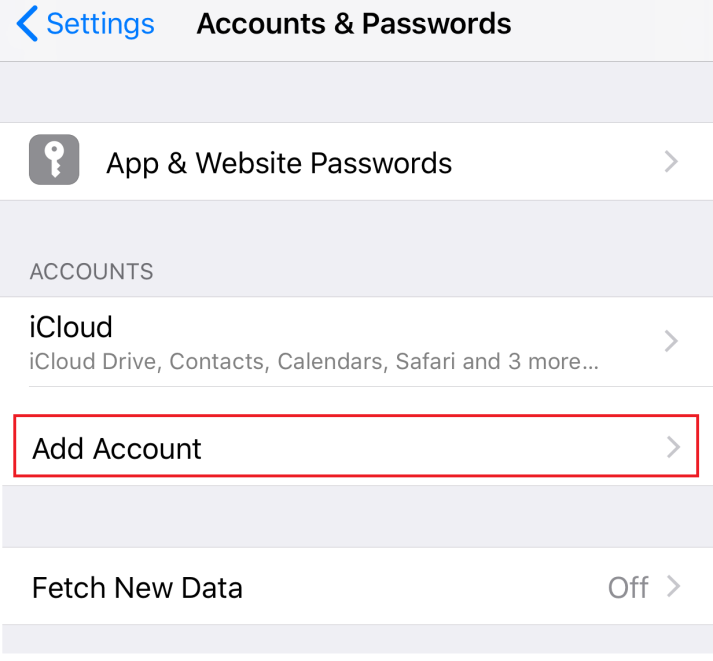 Important: Looking to automatically set up your iPhone or iPad? Click here to get started! Note: This article was created using an iPhone 6 Plus running iOS 11.2.1. The steps should be the same for all devices running the same version of iOS and should be accurate even for most other versions of iOS. If the steps are not the same, then we recommend that you utilize the settings found in the tables below and follow the on screen prompts to set up your device. If you need additional assistance, please contact Apple support. 6. Reference the table below to enter your Name, Email, Password, and Description, then tap Next. Name Enter the name that you would like to have displayed when the recipient receives an email from you. Email Enter the full email address of the email box that you are currently setting up. Password Enter the password of the email address that you set when you created the mailbox in your Account Manager. Description Enter the name of the account. This information is used to reference the account within the Mail application and device. 7. 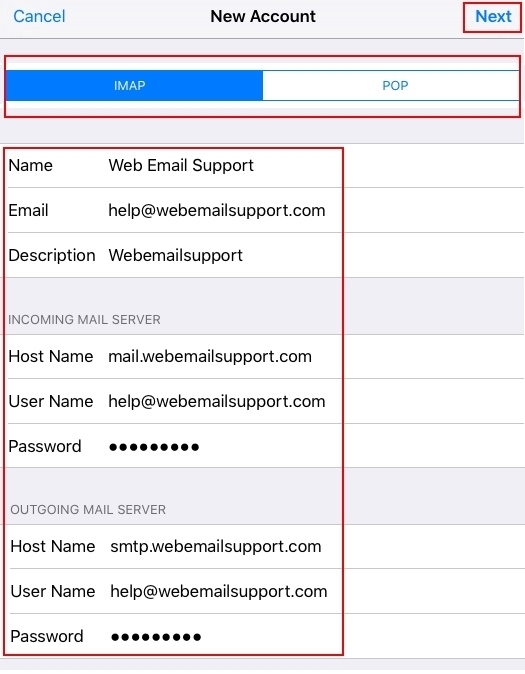 Select your Account type of either IMAP or POP, then reference the settings table below to enter the rest of the settings. Tap Next to continue when you are finished. Enter the name you to display in the From field when a recipient receives your email. The full email address that you are setting up. Enter the name of the account. This information is used to reference the account within the Mail Application and device. 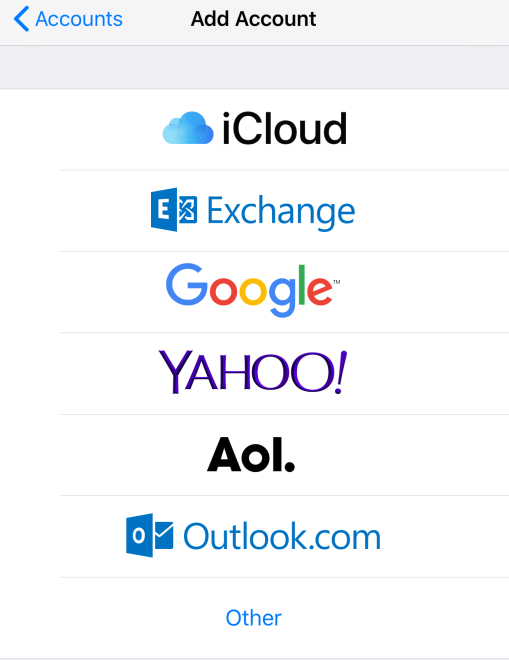 The full email address of the email box that you are currently setting up. Enter the password that you set when you created the mailbox in your account manager. 8. 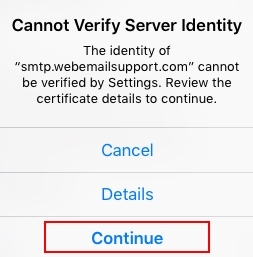 If a popup window appears with the Cannot Verify Server Identity message for the incoming mail server, then tap Continue to resolve the error. 9. 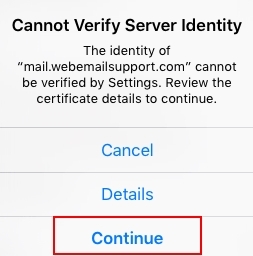 If a popup window appears with the Cannot Verify Server Identity message for the outgoing mail server, then tap Continue to resolve the error. 10. Verify that Mail is toggled to on (green), then tap Save. Your email account has been added. 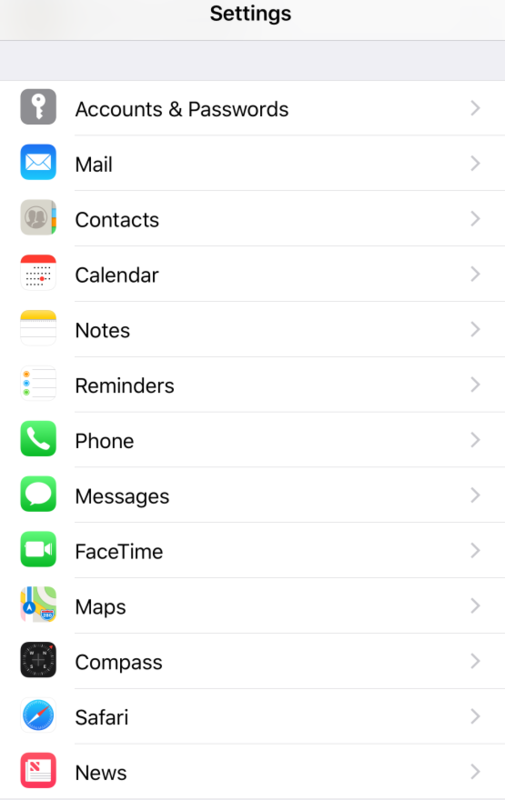 Tap the Mail app icon to start using your email on your iPhone or iPad device.